Hosanna Fellowship: “REC” this Friday at Savio at 7:00pm. Hosanna and Adult Sunday School will be cancelled for Sept. 16. Prayer Meeting will be held on Wednesday at 8pm. Strongly encourage people who attended Urbana 2015 and are attending Urbana 2018 to come pray for the Urbana 2018 attendees. 30th Church Prayer Walk will be held on the Sunday of the 30th Anniversary on Sept 16 at 9:30-10:15am. Jaffray’s 30th Anniversary Joint Sunday Service will be held on September 16th at 10:30am. The theme of this momentous celebration is “Salt and Light”. 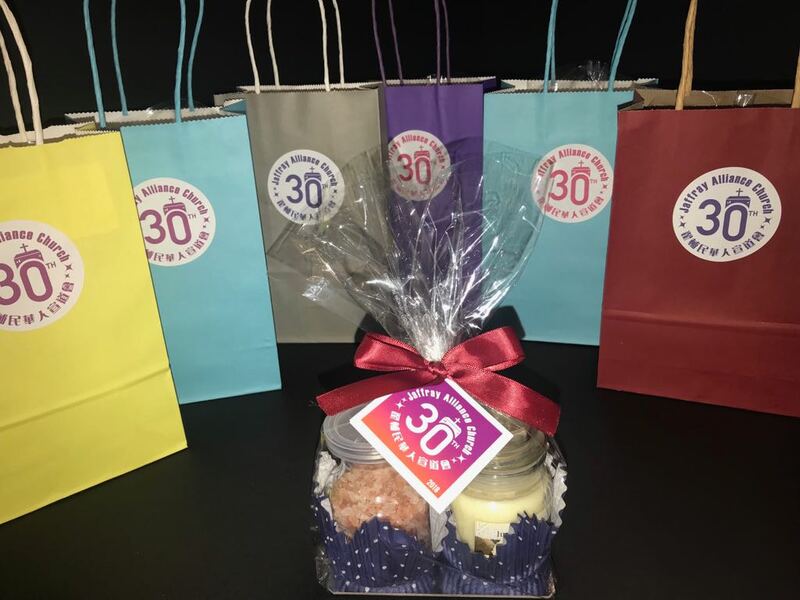 Jaffray’s 30th Anniversary Banquet Jaffray’s 30th Anniversary Banquet will be held at Grandeur Palace (Unit 128, 2301 Brimley Road, Scarborough) at 6pm. Tickets go on sale in the West Foyer (10:30-11am & 12:15-12:45pm): Adult $50, Child (Age 2-12) $35, and Child (Age Under 2) is free. Each table can fit up to 10-12 people, with a minimum of 8 adults per table. We encourage you to organize your own tables, but you may also purchase individual tickets and we will assign seating for you. Cash and cheques (to TJCAC) only. Anniversary church photo to be taken place after the Joint service on Sept 16 in the sanctuary.